Why do I see an "Unable to connect to database: Access Denied" error? 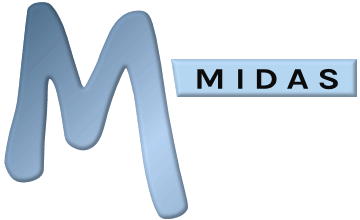 Solution: Please use our online Self Service tool to update your MIDAS settings with your new MySQL credentials. 2) If the web server where your MIDAS scheduling system resides and the MySQL server it uses reside on physically separate hardware and you've recently made network/firewall changes. Solution: You'll need to ensure that the server where your MIDAS scheduling system resides can connect to your MySQL server (i.e. on Port 3306), and that your MySQL server (and user account) is configured to accept external connections from the server where your MIDAS system resides. If you need to make changes to the MySQL configuration that your MIDAS system uses, please use our online Self Service tool to update your MIDAS settings with your new MySQL server details. If your MySQL server continues to deny access from the web server that your MIDAS system runs from, you may need to issue the following commands on your MySQL server: "FLUSH PRIVILEGES; FLUSH HOSTS;"
Why do I see an "Unable to connect to database: Your password has expired" error?